Three people, including a police officer, died during Monday's violent demonstrations in the capital Harare and second city Bulawayo, where protesters looted shops and torched cars. The southern African nation has experienced an acute shortage of dollars that has hampered imports of fuel and drugs and caused a spike in prices. Zimbabweans accuse President Emmerson Mnangagwa of failing to live up to pre-election pledges to kick-start growth and to have a clean break from the 37-year rule of Robert Mugabe, who was forced out in a de facto coup in November 2017. In central Harare, shops, banks, fast-food chains and some government offices were closed with little traffic on the roads. There was no public transport and some people could be seen walking from townships into the city centre. 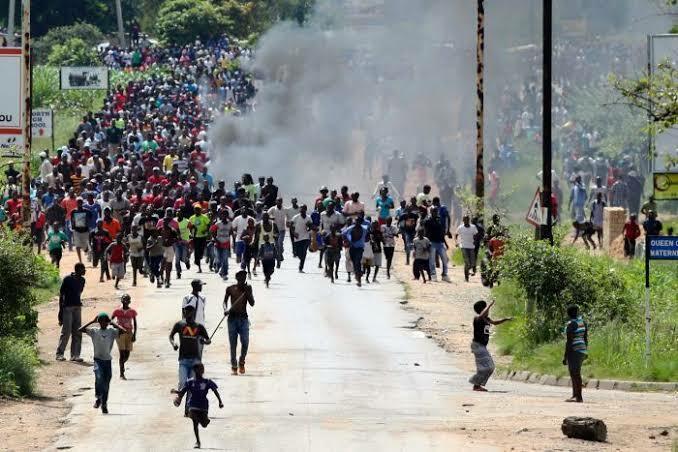 The government has blamed the protests on the main opposition and local rights groups, saying this was part of a plot to overthrow Mnangagwa's government. "Ours is all about fuel. Ours is all about the skyrocketing prices of basic needs from fuel, health and food," said Kumbirai Magorimbo, while reading newspaper headlines in central Harare.